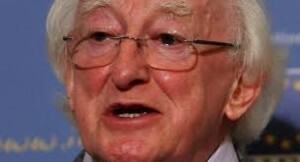 It is strongly believed that President Higgins may consider allowing immigrants to stay in or set up camp on the grounds of Aras an Uachtaráin. This is understood to follow concerns he has expressed over the immigrant crisis, and his impassioned appeal to the Irish to empathise with the thousands of people fleeing to Europe’s borders for a better life. It is thought the President’s example may lead to the Taoiseach and Government Ministers opening state buildings and their own homes to facilitate the thousands of immigrants they are proposing to throw the country open to. The Archbishop of Dublin, Dr. Diarmuid Martin and other church leaders are also thought likely to provide accommodation in or ’round their spacious palaces. There is a view they, and wealthy public figures now calling for Ireland to accept the proposed mass intake of immigrants, should lead by example, and be the first to lay on accommodation, food and other essentials for the thousands it now seems the Government is planning to arbitrarily impose on the country. that subsequent to the initial people arriving, there is a process of family unification. She instanced, the ‘paper states, where Ireland had previously taken in 500 Bosnian refugees, and that number had swelled to where the Bosnian community in Ireland now stands at about 5,000. Going on Burton’s apparent assessment, that figure would over time mean roughly 10,000 more immigrants being given residence for every thousand initially taken into the state – an astonishing ask for a country still largely in the throes of a sweeping economic depression. Many people are reminding government TDs and senators as well as elected representatives of other parties and groups of the massive housing crisis under which the country is labouring, and that before rushing to open Ireland to immigrants they should first be trying to find homes for the thousands of Irish children and parents at present left without a place to live. It is also reckoned that people offering to allow immigrants to move in with their families or take rooms in their home should seriously consider accepting homeless Irish children and families – many of them evictees – currently fruitlessly walking the streets of the country in search of accommodation.